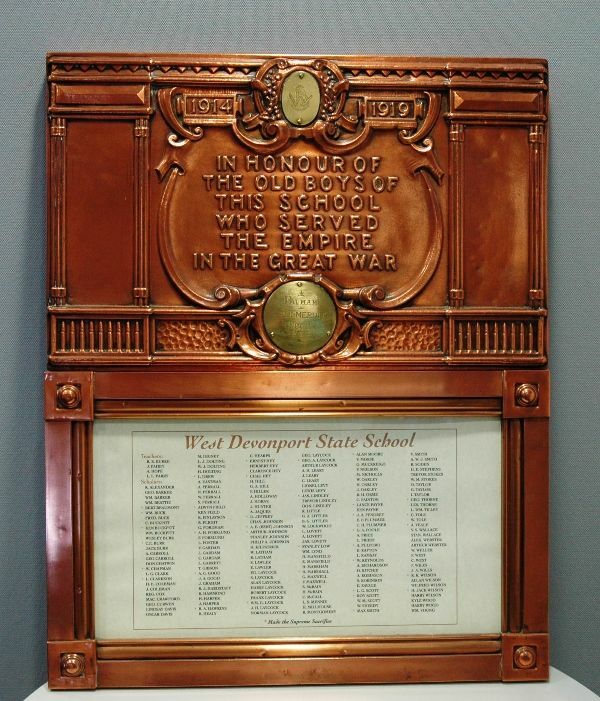 A brass honour roll commemorates those who served in World War One. The roll lists 190 names. 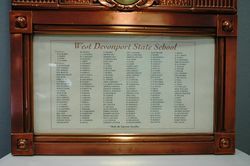 The Warden (Mr. Vertigan) unveiled the honour board at West Devonport State school on the 12th December in the presence of a good attendance of parents. 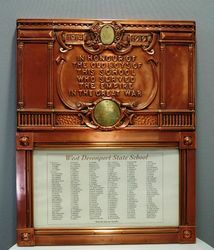 The board contained 190 names, including those of 38 who made the supreme sacrifice. Rev. G. Rowe and Mr. C. Ramsay (for the fathers) gave appropriate addresses. Mrs. Moon, president of the Victoria League, presented the Australian flag to the school. The National Anthem was rendered, and the "Last Post" sounded. The Mercury (Hobart), 15th December 1919.